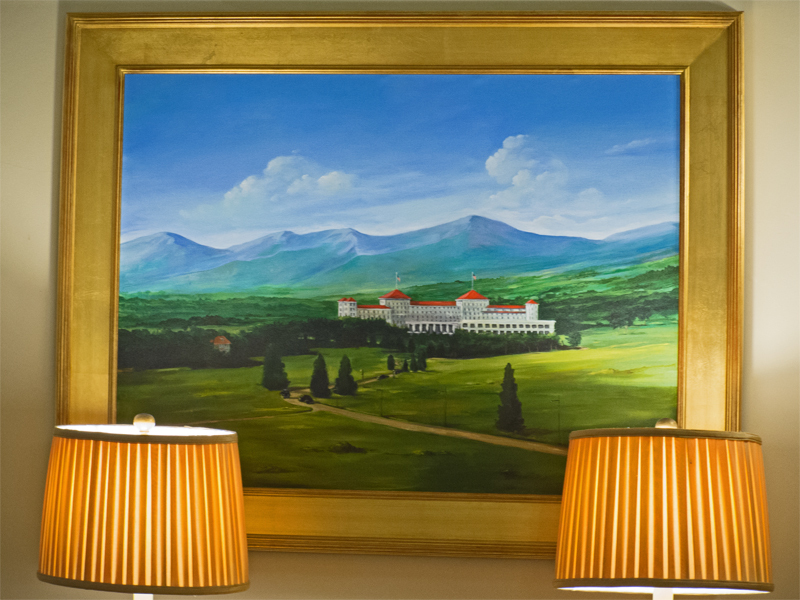 Mt Washington, Mountain and Hotel, with Lamps in a Reading Foyer of the Hotel. Mt Washington hotel began life in 1902 as a luxury railway hotel at the foot of Mt Washington, New Hampshire’s highest peak. In 1944 the hotel was rescued from obscurity by holding the Bretton Woods Conference where the International Monetary Fund was created. Today the hotel is an all season resort. The reading foyer is off the main lobby of the hotel. Main lobby of the Mt Washington Hotel. 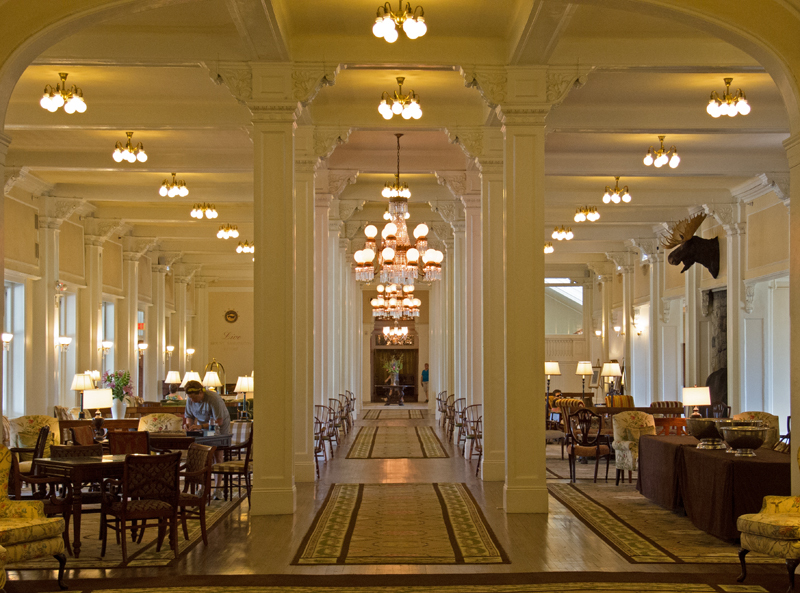 The entrance to the reading room is under the Moose at the right of the lobby. Dead? What is that all about? This entry was posted in New Hampshire, Travel Blog, Wordpress and tagged blogging101, Mt Washington Hotel, New Hampshire, photo101, Photography by carto. Bookmark the permalink.